Caraway earned a Ph.D. in English from the University of North Dakota, and an MFA in creative writing and a B.A. in English from Eastern Washington University. He serves as editor-in-chief of Whitworth’s literary journal, Rock & Sling, and is publisher and founder of Sage Hill Press. He is the author of the collection A Visitor’s Guide to North Dakota: Poems, and his work has been published in multiple literary journals. He has also been a featured reader at many of Spokane’s reading series, including the annual Get Lit! festival. Caraway has been recognized for excellence in both writing and teaching. He has twice won the Thomas McGrath Prize for Poetry from the Academy of American Poets. 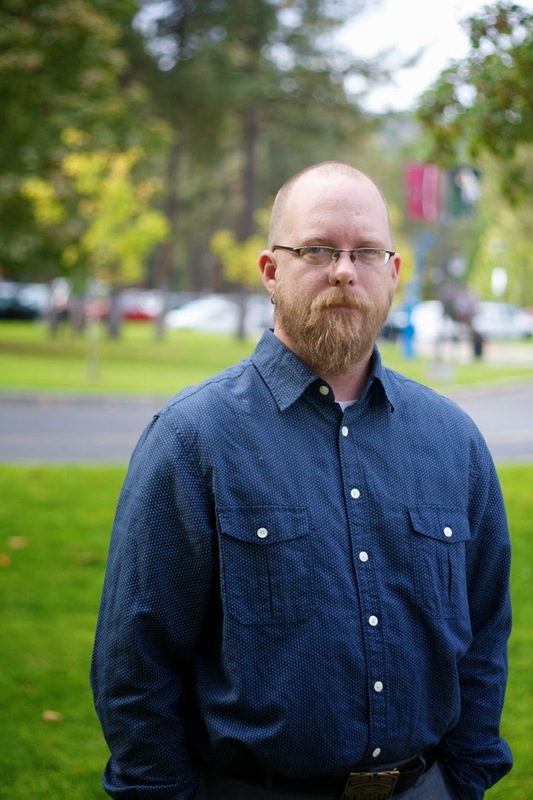 Most recently, he was named Whitworth Contingent Faculty of the Year in spring 2012. As a spokesperson for the area’s literary community, Caraway will help reinforce the role of literature in civic life and will actively participate in ceremonial, educational and cultural activities in the community during his two-year term of service. The term began in October and includes a $2,000 stipend. The Spokane Poet Laureate selection panel included the Poetry Foundation Children’s Poet Laureate Kenn Nesbitt; director of Spokane Public Libraries Andrew Chanse; arts commissioners Adam Boyd, Mariesa Stokes and Allen Duffy; Lucia Huntington, immediate past chair of Humanities Washington; and Spokane City Council president Ben Stuckart. Members of the arts commission and the arts fund board coordinated the search and selection. Thom Caraway, senior lecturer, Whitworth University, (509) 777-4797 or tcaraway@whitworth.edu.